← There is a Pub at the Ronald Reagan Library! With all the eating (and drinking) that I’ve been doing lately, I thought I would dip into my well of knowledge and share a couple things about man’s greatest affliction. I’m not talking Cancer, Heart Disease or anything like that. I’m talking hangovers, people. The hangover is a menace that has plagued society from the time of the ancient Egyptians and the sad thing is that we are no closer to curing it today, than we were so many thousands of years ago. I know some of you will say that the only cure for a hangover is to not drink. To those people I say, “Shut it!” Why should we avoid the greatness that is booze. I mean, even Benjamin Franklin considered beer to be a gift from God and if it’s good enough for Ben, it’s good enough for me. 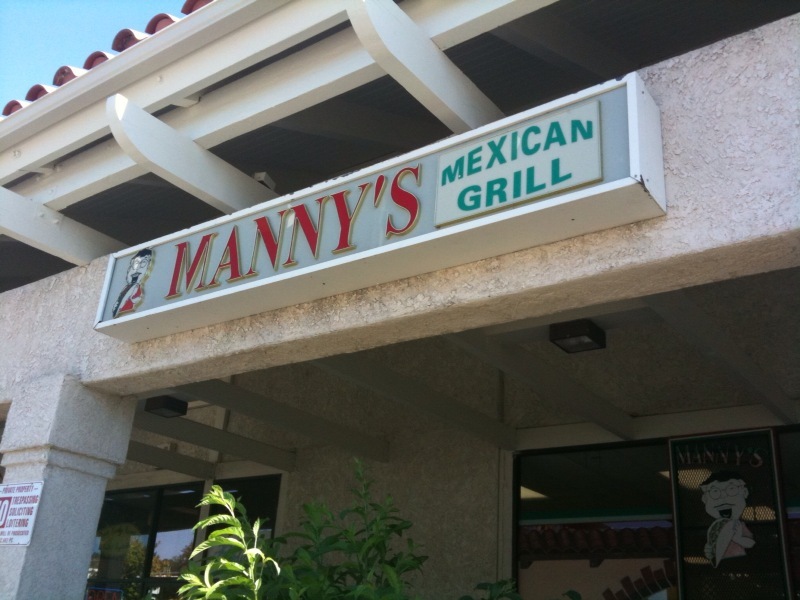 Manny’s – Avenida De Los Arboles Between the 23 FWY and Moorpark Rd. So I have learned that, for me, nachos are an excellent hangover cure. Maybe it’s because they have the perfect balance of carbs, protein, fat, crunch and grease. Maybe it’s because I load them up with spicy salsa which helps me sweat out the toxins from the night before. I have no earthly idea why it works. It just does. Manny’s is a little hole in the wall near my house. It has received a mini facelift over the past couple of years and is not nearly as ghetto as it once was. I’m glad to see that the owner actually took this step because Manny’s always seemed a bit dirty to me, which made me only eat their once in a blue moon. Now that the place is cleaned up, I might be making this place my go-to spot for quick, cheap, Mexican food. I was out the door for under 8 bucks. The staff was friendly and worked quickly to fill my order and like I said before, they got the place cleaned up and looking presentable. In fact, I wouldn’t mind sitting down there for a meal now. There’s a lot of good Mexican food in T.O., but if you’re looking for good Mexican food that’s cheap and easy, then you’ll definitely get your value at Manny’s. Plus, after getting down on those nachos, I feel 1000% better. I’m telling you, the nachos work everytime. Just avoid Taco Bell and Del Taco. Got your own ideas on what cures a hangover? Let us know in the comments. I hear that Pho works pretty good, too. I find that drinking water while drinking booze is a huge buzzkill and isn’t the point of drinking to get a nice little buzz? Still, I think your method would work well. Don’t know about the excedrin though. Wouldn’t the caffeine mess you up by making you even more dehydrated? Sorry for enducing the nacho craving, but thanks for the feedback. BTW, how’s arizona treatin’ ya? Nachos would destroy me the morning after drinking. You are a tank. I can barely keep down water and crackers. You win. Maybe you’re right. Nachos are probably best at the end of a night of drinking. Why the curfew on your place though? I guess nothing stays open that late in S.C. Thanks for having my back on the late night drunken nacho tip. I feel much more credible now. You know who needs to see that picture? Gordon Ramsey. Bahahahaha, totally. 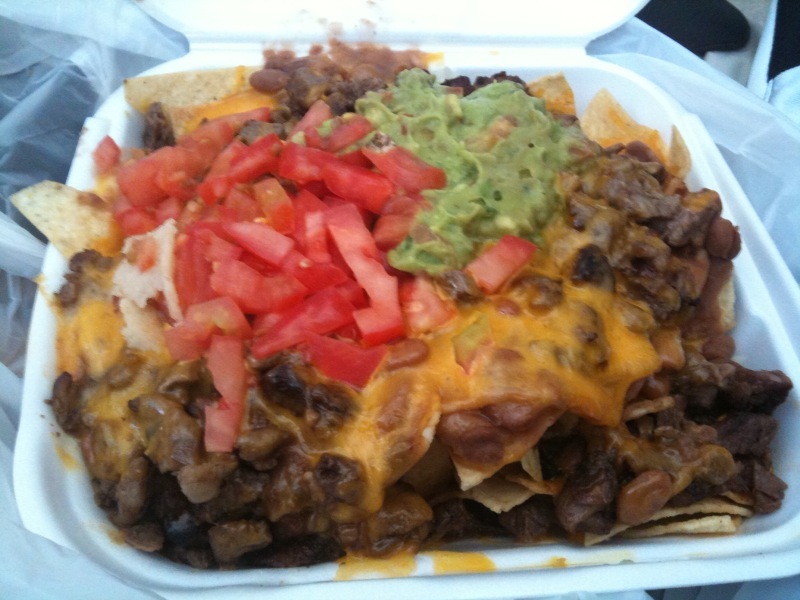 Note to Gordon: This is what nachos are all about.